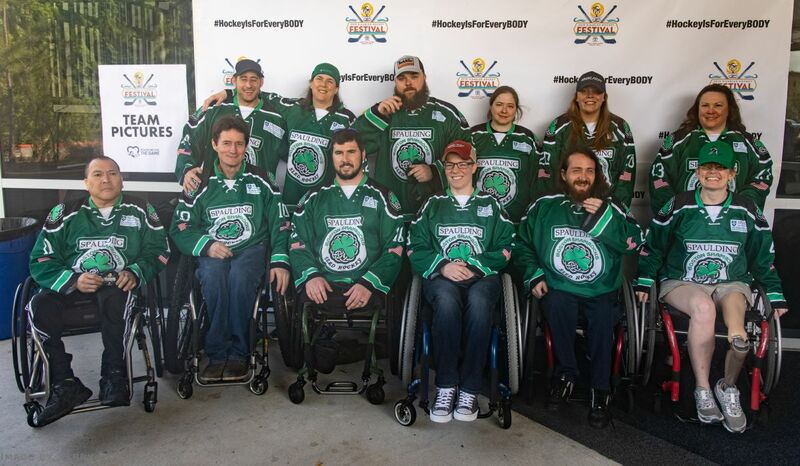 The Shamrocks Co-ed Sled Hockey Team traveled to Florida this past weekend to compete in the 2019 Toyota-USA Hockey Disabled Hockey Festival. This is the 4th consecutive year the Shamrocks have qualified for the Festival. The 15th annual Disabled Hockey Festival was held at the AdventHealth Center Ice in Wesley Chapel, Florida. USA Hockey, in partnership with the Tampa Bay Lightning and Statewide Amateur Hockey of Florida, hosted the Festival in Florida for the first time. In the round robin portion of the Festival the shamrocks finished 2-1-0. The Shamrocks defeated the Colorado Springs Tigers 6-1 and lost 4-2 to Carolina before concluding round robin play with a 3-1 win over the host Tampa Bay Lightning team to advance to the semifinals. The Shamrocks lost a tough hard fought semifinal game 2-1 to the Long Island Roughriders. The Roughriders went on to win the Festival Championship by defeating Carolina 1-0 in the Festival finals. The Shamrocks were lead by Brendan Durny (4-4-8), Kevin Dubois (3-2-5), Dan Martin (2-1-3), John McArdle (2-0-2), Chris Young (1-1-2), and Katy Perry (0-2-2).